More than 15 years of experience in software design and development. Low and Bonar is leading manufacturer of performance materials, with direct presence in 20 countries around the world. With our partners, we deployed a centralized corporate CMS platform in order to provide a single point for managing company digital presence. Single CMS stores and manages all web content and digital assets, which are used on the main corporate site and various brand microsites. High availability and preformance is guaranteed by elastic hosting using Amazon AWS, using CloudFront content delivery network. „G“ is Grant Thornton portal for managers of small companies, offering services and networking in order to accelerate growth of their organizations. It’s a central spot for startups and small entrepreneurs, where they’ll get help with business development, financing, skills and personal development. Interactive1 built a portal integrating Gigya Identity Management Platform with WordPress CMS, providing fully personalized user experience. Gigya platform provides single sign-on feature and usage tracking, enabling “big data” analysis. Performance is guaranteed by hosting on amazon AWS, using ElasticBeanstalk and Fastly CDN. 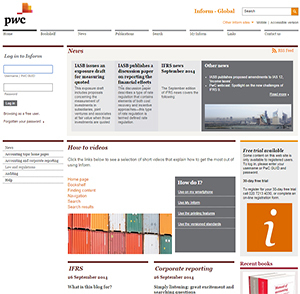 After almost a year of development, major new release of PwC Inform has entered production. Inform 3.10 features significantly redesigned adaptive and responsive user interface, optimized for touch screen devices. 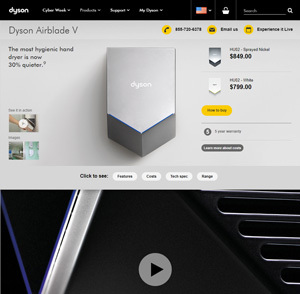 New Toolbox has gathered various content tools into a single always-on gadget that helps its 70.000 users to access site information more effectively. Web version of Inform will be followed by a PC version scheduled for end of 2017. 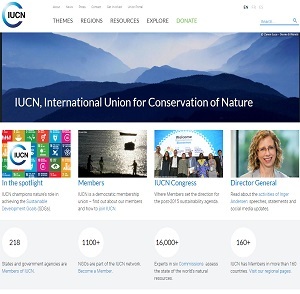 IUCN is a membership union for nature conservation, seated in Genève, Switzerland. It is a leading provider of conservation data, assessments and analysis. Its members are 1.300 governments, public, private and non-governmental organisations, and 16.000 experts. In organisation whose main job is gathering, storing and presenting vast amount of data, project and flow management is essential. For IUCN we have created project portal, integrating project processes workflow with Microsoft Dynamics as a central project data storage. Besides data gathering, important element of the project is reporting system that provides quick access to all data to IUCN’s members and employees.